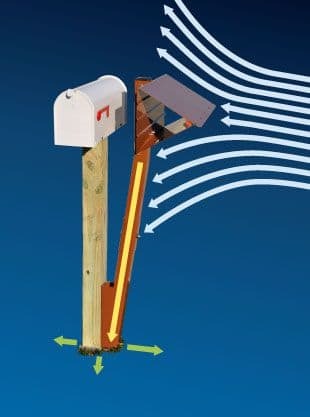 The SlopBuster™ is designed to deflect snow, slush and ice away from mailbox. The SlopBuster™ patented design both deflects and absorbs the forces of snow and slush thrown from snowplows. 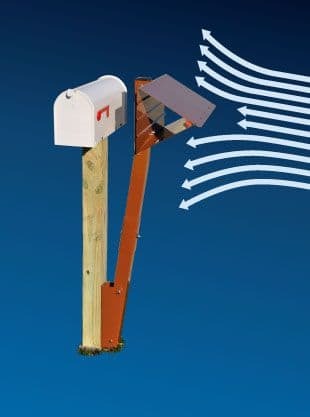 This Slop, as we call it, can hit a typical mail box with 400 to 600 pounds of force, causing damage to mailbox. 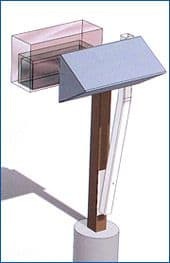 SlopBuster™ is manufactured of 16 gauge powder-coated steel to the withstand the toughest of environments. It comes with zinc plated rust resistant screws and bolts. The mounting nuts have a nylon locking feature to resist loosening from flexing and movement. 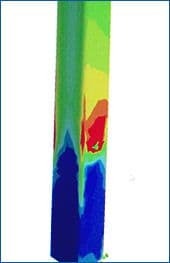 Powder coated finish resists corrosion. Engineered To Re-direct Stress And Impacts. The thick-walled steel post is angled inward toward the base of the mail box 4" x 4" post just above ground level. This angled design helps drive the forces through the steel post to the base of the mailbox wood post. 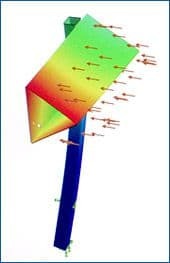 This area is the sturdiest place for attaching the heavy weight steel support bracket. 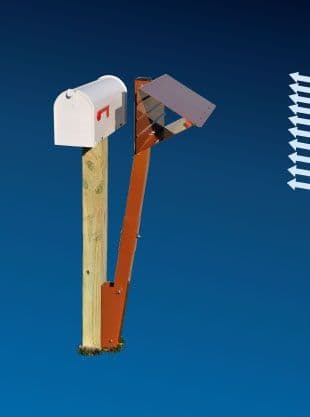 Once SlopBuster™ steel post is firmly attached, the unit is designed to absorb impacts as much as of 600 pounds of force. 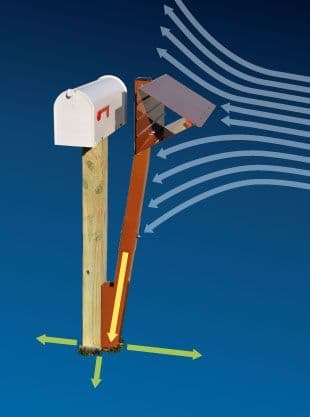 Designed for easy attachment to base of mailbox mounting post. Heavy-Duty Steel Panels engineered to withstand up to 600 pounds of force. 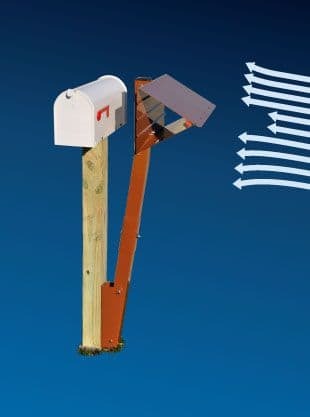 Drives impact forces through unit to sturdiest part of mailbox post.